Shaadi Ki Shenaiyan on Imagine’s Sawaare Sabke Sapne Preeto! The Punjabi’s are all set to rock the audiences with the wedding of the most lovable couple in Sawaare Sabke Sapne Preeto on Imagine TV. Ishmeet and Dhruv will finally tie the knot in midst of grand celebrations and blessings. Marriage is considered to be the most significant occurrence in a person’s life and this holds true for Ishmeet and Dhruv as they are unified by the law of marriage. To make the celebrations even more magnificent, the ‘Punjab da Puttar’ of Indian cinemas, the legendry Mr. Dharmendra will make his presence felt at the Roka ceremony where he will bless the to be wed couple, Ishmeet and Dhruv for their happy married life ahead. The excitement will be raised to another level when Ishmeet and Dhruv will be joined by Himesh Reshammiya on their Sangeet as he would dedicate a track from his upcoming film, Damadam to the duo. Adding to the fun would be comedian, Bharti who will perform a comedy act to set everyone in the high spirits. An ambience of fun and frolic will be created as the Punjabi wedding ceremonies swing in full force, beginning with the Roka Ceremony followed by Phulkari, Sangeet, Mehendi, Haldi, and the Chuda Ceremony. The marriage will be performed in a Gurudwara followed by the Reception. Watch the grand wedding only on Imagine TV’s Saware Sabke Sapne Preeto from Monday to Friday at 8:30 p.m. 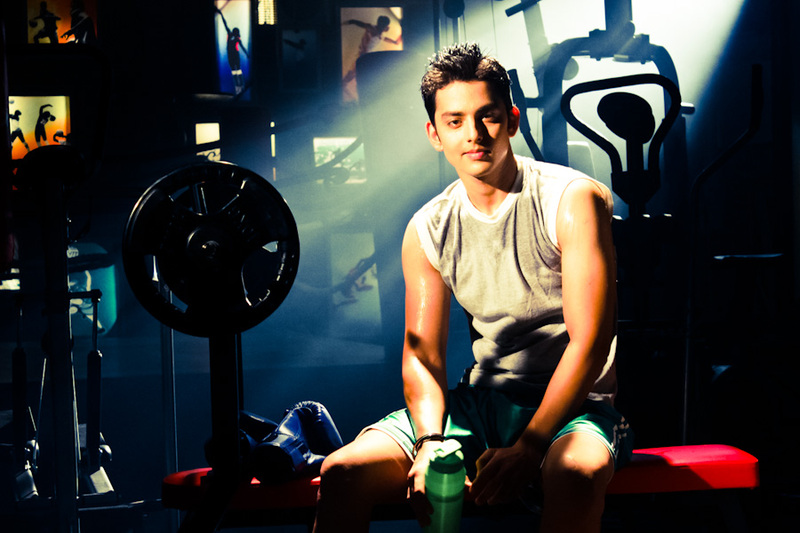 I, ME, MYSELF – Himansh Kohli! Birthdays are that time of the year, when we often reflect over the year that went by, and we also make resolutions for the year ahead ! 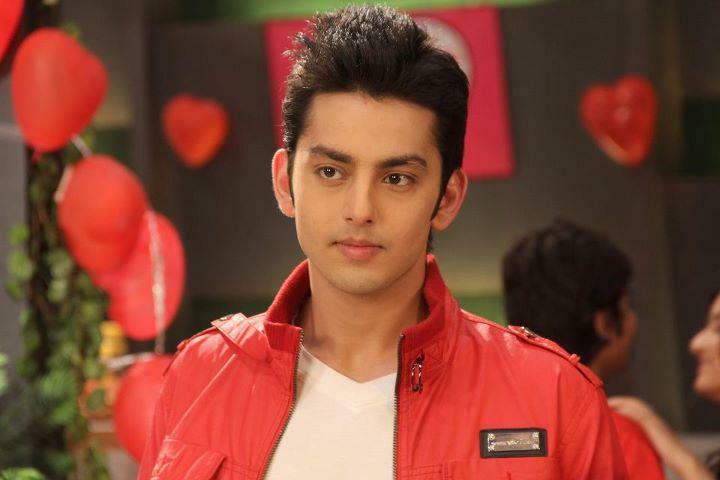 The celebrity we have picked this week for our I, Me, Myself is Himansh Kohli aka Raghav of Channel V’s Humse Hai Liife, who just turned a year older this week! As he continues to enthrall the audience with his cute yet adorable portrayal as Raghav, we at Rangmunch.TV grilled him to reflect on himself and what he is as a person! Surprisingly, Himansh himself hadn’t thought about these things before we posed these questions, and hence the answers that came were honest and straight from the heart…. Rangmunch.tv: One thing you are grateful for in your life? Himansh: I am grateful to my parents who have always encouraged me. I was all set to join my dad’s business but they told me to give my life another chance and join this industry. Rangmunch.tv: One thing that is missing in your life at the moment? 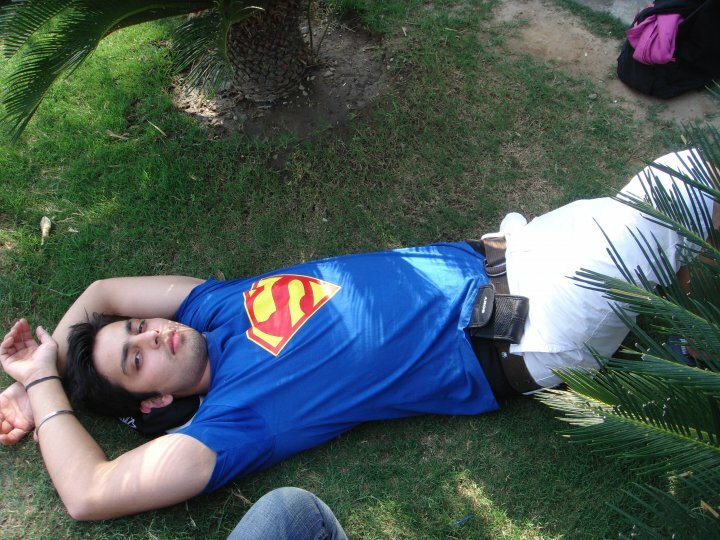 Himansh: At the moment, I am not really missing anything, I am just focusing on my career. Rangmunch.tv: What do you need to change about yourself? Himansh: Well, (takes a pause) I really don’t need to change anything about myself right now, except for maybe my listening skills. Rangmunch.tv: Which is the biggest risk you have taken so far? Himansh: Biggest risk is over here right now. Before this, I was an RJ with Radio Mirchi (Delhi). On hearing about this show, I just left everything and came over here. Rangmunch.tv: What is your biggest fear? Himansh: Since my life right now is connected to the sets, my biggest fear is also related to the show. Rangmunch.tv: Do you believe everything happens for a reason? Himansh: Yes, it does because I know lot of people were auditioned for the role of Raghav, and that I was among many . I really feel there is a reason to everything that happens in life , that there is a power behind cause. Rangmunch.tv: What are you proud of? Himansh: (Laughs heartily) hmmm… I am proud of my parents right now. Rangmunch.tv: What is the craziest thing you want to do? Himansh: I want to jump from a jet in the middle of a sky without any support (laughs and states excitedly) That is also my biggest fear. Rangmunch.tv: Who has had the greatest impact on your life? Himansh: Right now, RJ Naved Khan. 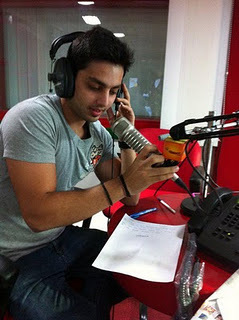 He is working with Radio Mirchi in Delhi. Rangmunch.tv: Do you let other people’s negativity affect you? Rangmunch.tv: How do you deal with it? Himansh: Well it does affect me a lot. It affects my work and my regular life. At times I do go into depression, but my parents and friends help me out. I do call Naved time and again when the going gets tough but he convinces me otherwise. Rangmunch.tv: Do you smile more than you frown? Rangmunch.tv: Do you take time out for yourself? Himansh: No. I can’t take time out for myself. I keep telling my EP (Executive Producer), that please give me some time. I want to have fun in Mumbai. I have been here in Mumbai for quite sometime now and still have not seen the city yet. My life right now is from Andheri to Bhandup, and Bhandup to Andheri. I leave home at 6.30 in the morning to reach here at 8 am. I get free by 9.30 -10.00 in the night. Rangmunch.tv: Do you forgive yourself easily? Rangmunch.tv: Do you listen to your heart? Rangmunch.tv: Do you stand up for yourself? Himansh: Yes, if something randomly comes up against me, I will not take it. But if something good is spoken in a critical manner, I will take that. But if something negative comes at me, I will return it 20 times back in the same manner. Rangmunch.tv: Who is that one person you want to meet at least once in your lifetime? Himansh: One person would be Naseeruddin Shah. Rangmunch.tv: Do you spend enough time with your family and friends? Himansh: Not at the moment. My family is in Delhi, so I can’t spend as much time as I want to with them. My mom was here with me and she quietly observed me and my work. She has seen me working as she has come to the set. Rangmunch.tv: Who is your biggest critic? Himansh: Right now, Gorky Sir (laughs out loud). Himansh: Yes I am. I don’t actually believe in “kaali billi rasta kat gayi or nimbu lat kalo”. I believe in the powers that govern the world. I believe that there is a path to be followed. So I am superstitious about that. Well you must have heard of 2012. This is the kind of superstition I believe in. Rangmunch.tv: What has been the most embarrassing moment till date? Himansh: Once I was clubbing with friends when I was in my 12th std. I remember my very good friend called 3 of my girlfriends all together at the same place. It was like, jute chappal bhi padh jaate agar main bhagta nahi. Rangmunch.tv: Are you a pet lover? Himansh: Yes, in fact I have 2 pets, rather many fishes and 2 dogs. I have a pug, and a French bulldog. Birdie is the female Pug and Aldo is the French bulldog. I really miss them a lot. Rangmunch.tv: Who is your best friend? Himansh: My dad. He is my best friend. I tell him whatever good or bad happens. I tell him everything, like, I am in this situation, or I am dating this girl …Basically he knows me completely. Rangmunch.tv: What would you as an Actor like to tell the audience who are following your show? On behalf of Rangmumch.TV, we wish Himansh a belated Happy Birthday and hope that he continues to entertain his fans and win many more hearts in the days to come. A Page from Khushi’s Diary! Today I walked out of the Raizada House, and it felt like, I had left a lot of myself behind. I haven’t known this family for too long, neither did I ever intend to ever be here in the first place. But something about that house, took me over. I never for once felt I was amidst strangers. I felt loved, protected, cared for. So much so that, today I feel incomplete in my own house, my own room and with my own family! Why does my heart suddenly prefer pain over happiness, momentary joy of seeing him over a life time of togetherness with someone else? He followed me all the way to the temple, only to nurse my cut, but the wounds he gives my heart are not those that he can see. Why? I wish he could. I just wish, he knew he shouldn’t be around, because the more he is, the more I want him to be around me. I fail myself each time he walks in front of me. I see him coming, my face turns red, I know he will hurt me and walk away, but I still allow him to do it. Why Devi Maiyya why? Why is it that, there are certain things about him, that I fail to share even with you? I don’t want to get engaged to Shyam! I may not be able to see him betroth La either. May be that’s why, you found a way to spare me the pain, of seeing this happen right in front of my eyes. During those days of despair and pain, the only hope I have is in you. But why do I at times feel, you also try and tell me, our lives are so inter-twined, we might bump into one another again, though he swears against it. He doesn’t have faith in you, the very person who forms the center of my belief and strength. How can I go on and allow him to take over my life this way, knowing fully well he may never respect you. I miss Babuji, I wish I could share my worries with him. But he has problems of his own. Jeeji and Amma will never understand. My hand doesn’t hurt ache as much as my heart does! I wish, I could just sleep off tonight and wake up tomorrow and be the Khushi Kumari Gupta who had never known or met an Arnav Singh Raizada. But this very thought, as I write to you, plunges me into deep melancholy, since I know for sure, life has not been the same after meeting him, the Laad Governor, the insensitive monster is now also my Heart Keeper! I concede… I give up ! Can I just see him once, may be tomorrow? And then I promise, I will never ask for anything … Because, after tomorrow, I will belong to someone else, and my family will expect me to give my due to this marriage, which I duly will. Before that, will I get one chance to look into his eyes the same way, so that guilt can take over for a life time for nothing being able to feel the same way for anyone else? Bas ek Baar Devi Maiyya… Ek Hi Baar! We would like to congratulate the Is Pyar Ko Kya Naam Doon Team on its steadily growing TRP with their interesting and captivating storyline. Sajjan Singh has never believed in democracy, while Pratigya lives for others. Sajjan Singh believes in Monarch way of ruling his house, where as Pratigya’s heart is her home. Sajjan Singh has always justified his means, be it wrong or really wrong. Its only with Pratigya, whom he has clashed all the time as she brings in the right reasoning to the issues. They really have never seen eye to eye for anything. The makers are now getting in a new track which suggests more drama coming from this camp and that too with a name called “Samar.” He is Kesar’s son who is now under the guidance of Pratigya. The show is all set to take a leap where Pratigya will be raising Samar up as her own son with all the values, integrity and rightful ways of dealing with life. She will be inculcating the right principles in him which are complete opposite to what Sajjan Singh believes in. Pratigya believes in human values being fundamental to human existence where as Sajjan Singh only believes in getting his way by hook or crook. It will be interesting to see who succeeds and who fails. 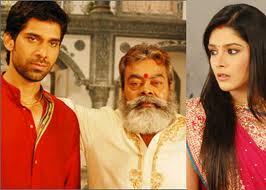 Will Pratigya be successful in her mission or will Sajjan Singh once again turn the tables in his favour ? Krishna turned out the way he did under Sajjan Singh’s dominance. Had there been a Pratigya back then , would Krishna be different? 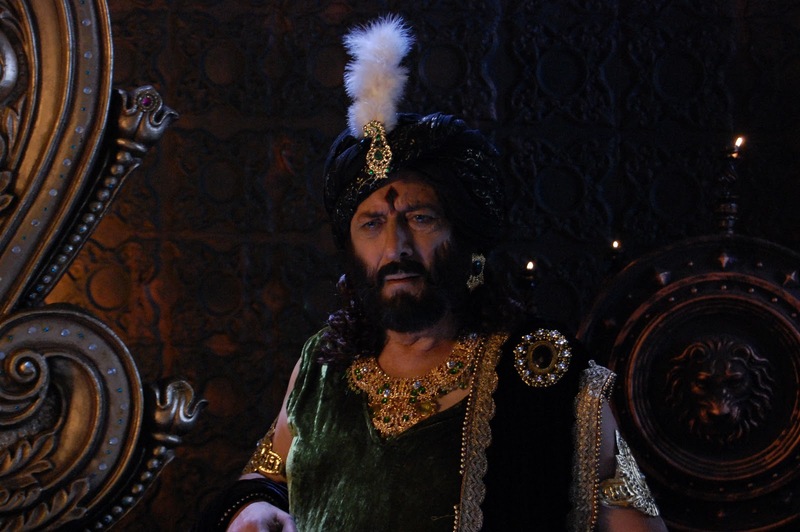 Will Pratigya be able to defy Sajjan Singh and bring about a new Krishna in form of Samar? Rangmunch.TV opens a discussion platform for all the Pratigya lovers to come and state their views on what the future might behold . Lets play a little game … We shall keep it short and sweet !!! We pick the names of various TV shows and Their leads and you think of an alternative Title that suits them best in the current Scenario! Come on guys! Get innovative… we shall await your responses! Think of whacky names, cheesy names, interesting ones … new old .. anything!!! More than often, we experience some heart touching moments in our favourite shows, which either leaves us teary eyed or brings a smile to our face. Yesterday we experienced such moments with two of the most popular JODIS on Television. While in Geet Hui Sabse Parayi, Maaneet brought back the lost smile on the faces of their fans, Arnav and Khushi in Iss Pyaar Ko Kya Naam Doon brought tears in the eyes of their viewers. “Tum phikar mat karo Geet mein aa gaya hoon”…As Maan uttered these words to Geet, the viewers rejoiced and breathed a sigh of relief to see Maaneet together in one frame after an entire week. In time of deep despair and complete loneliness, the one person you yearn for, if he or she appears before you, the moment will surely leave you shell shocked and speechless. That is exactly what happened to Geet when she saw Maan standing right in front of her. She looked at him in disbelief as they met under unexpected circumstances. However, the moment Geet recovered from her state of shock, she hugged Maan tightly to not let go of him while tears trickled down her eyes. She was overwhelmed to see that her Babaji had sent Maan just when she needed him the most. Geet’s fears peaked after realising she was being followed and cornered in Maan’s absence. She tried to bravely face her Stalker, only to realise it was no child’s play. Totally flustered and out of her senses due to shock, Geet found solace and felt secure in her Maan’s arms. She was finally HOME! “My mind tells me to give up but my heart won’t let me” ~ Anon. Yesterday, one could see the pain and anguish that Arnav was going through as he watched Khushi slowly WALK OUT of the Raizada House and from his LIFE too. For the very first time, the fear of losing the sight of Khushi forever was so evident on his face. He had already started to miss Khushi but did not want any one to sense his restlessness and anxiety. While he was trying to battle the entire world portraying anger and frustration, he miserably failed in front of one – HIMSELF! Even though he hated himself for getting affected by Khushi, Arnav could never stop his heart from being drawn towards her. Despite yelling at Khushi, deep down his heart, Arnav wanted to hold her back and never let go. He was almost on the brink and would have surely melted only if Khushi at that very moment had embraced him, affirming that her heart equally beats for him. We hope that the tug of war between the heart and mind soon ends and both Arnav and Khushi realize and admit their LOVE for each other.